The magic powder that brings back your hair! Stunning effect guaranteed! 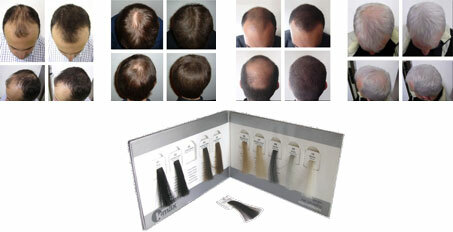 For those who suffer from alopecia or balding and thinning areas this is the easiest solution. 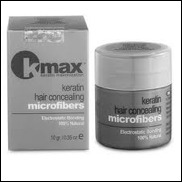 Of course your hair will not grow back benefit but they instantly seem thicker and denser. 100% natural, for men and women K-Max fits around the hair for a spectacular effect with a natural sense of volume and lightness. On hair washed, dried and styled, sprinkle on top of the head. Collection Hair tips: the product can stay several days. Depending on your hair and the tint chosen it can mark the pillow, put a towel to test it. Despite this small inconvenience, you can pass your hand into the hair without fear.